That’s despite an announcement before Christmas that the station was one of six to be re-opened. THE REOPENING OF Stepaside Garda Station in south Co Dublin may now never happen, according to the findings of a report released today by the Dáil’s Public Accounts Committee. That’s despite an announcement last month that the building was one of six to be re-opened as part of a pilot scheme to put shuttered stations back in operation. It was announced before Christmas that the Acting Garda Commissioner had submitted his final report in relation to the review to government and written to the Office of Public Works to progress the reopening. An interim report, published earlier in the year, had already recommended Stepaside be reopened – but there were suggestions that this was a political decision rather than a policing one. A number of local politicians, most notably Transport Minister Shane Ross, had campaigned to have Stepaside opened, while Fine Gael arts and culture minister Josepha Madigan said in the wake of December’s announcment that locals could look forward to a safer new year. Dónall O’Cualáin had told the panel last year that further work was required before the stations could re-open, including assessment of the buildings by the Office of Public Works and an examination of additional resources needed. Shane Ross at a rally supporting the re-opening of Stepaside in 2013.
the selected Garda stations,” the report said. In Dublin, Rush, in the north of the county, had also been slated for re-opening. Pat Leahy, Assistant Commissioner responsible for the Dublin Metropolitan Region, stated to the committee that while Stepaside was recommended for re-opening as it met the criteria outlined by the review, he would not consider it an immediate priority in terms of resource or personnel allocation. Leahy said that there was a broad range of priorities within the DMR, but that he would consider areas such as Ballyfermot, Ronanstown, the north inner city or the south inner city to be more urgent priorities. Assistant Commissioner John O’Driscoll noted that Stepaside had experienced significant population growth between 2011 and 2016, and that this was a factor in the recommendation. However, he told the committee that further population growth was expected in the area due to ongoing development of nearby Cherrywood. Cherrywood, as a result, may need a new Garda station in the coming years, he said. 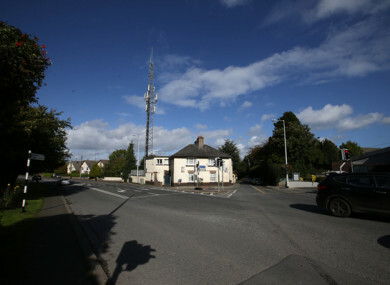 The criteria set by the Department of Justice had required Garda management to choose six stations to re-open, one of which was to be in Dublin. There had to be an urban-rural mix and the stations had to be in State ownership. Some 139 garda stations were closed between 2012 and 2013. “It is the opinion of the Committee that the criteria applied to the review did not take account of the policing priorities in the DMR,” the PAC’s report found. The re-opening of Stepaside, the PAC said, was still subject to assessment of the building by the OPW. The Committee expresses concern that resource implications, value for money and policing priorities were not considered as part of the review into the re-opening of Garda stations. The Committee expresses concern that a decision was made to approve the re-opening of a Garda station based on the conclusions of an interim report of a review which at the time was still ongoing. The Committee notes that while the decision to re-open Stepaside Garda station was made in June 2017, the interim report outlining the criteria and rationale for this decision was not published until September 2017. The Committee is of the opinion that there was an undue delay in the publication of the interim report. It recommended that “the ultimate decision to re-open Garda stations should take into account the best use of Garda resources, use of State funds and policing priorities”. Email “The re-opening of Stepaside Garda Station has been thrown into serious doubt ”. Feedback on “The re-opening of Stepaside Garda Station has been thrown into serious doubt ”.